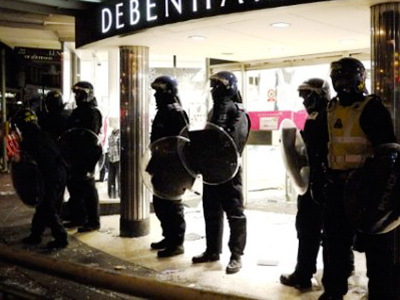 London residents have taken to the streets late on Tuesday to protect their neighborhoods from looters after England saw its worst unrest in years. 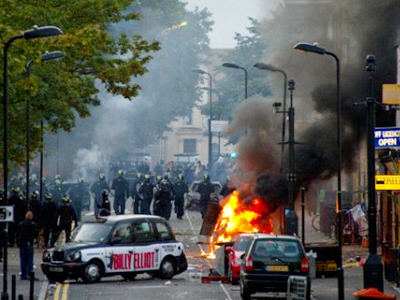 One of the activist groups marched through Enfield, a region in north London, aiming to deter rioters. 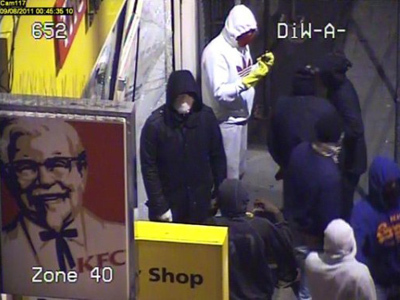 "We are the Enfield anti-rioting squad," one of local residents was quoted as saying by the Associated Press. "You want to riot our place, we will riot you mate. This is our area not your area." 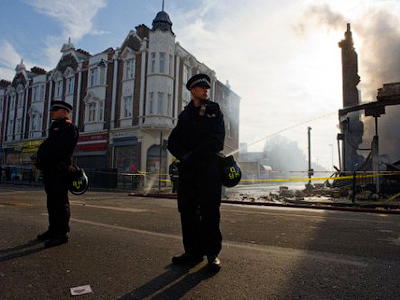 In Southeast London, one of the worst hit areas, residents were also out on the streets. "We are here and we're making a stand today," said Billy Sharp, a New Addington resident. "We are not having all these people coming up here and ruining our place, right? 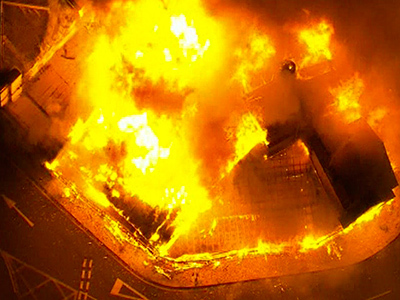 Burning our town down." Meanwhile, Deputy Assistant Commissioner Steve Kavanagh from London's Metropolitan Police called for people to calm down and hinted that the activists distracted police instead of helping. "What I don't need are these so-called vigilantes who appear to have been drinking too much and taking policing resources away from what they should have been doing, which is preventing the looting," he said. Meanwhile Amazon.co.uk internet store has seen a dramatic increase in the sales of aluminum and wooden bats – the main riot weapon in London these days according to some local media. The store confirms the bat sales soared 6,000 per cent late on Tuesday – at least a 4,000 per cent increase in one day. On Wednesday seven various kinds of bats topped the list of most popular goods purchased on Amazon. 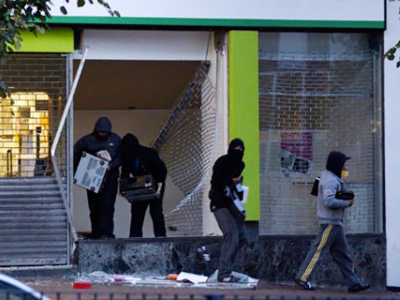 It is however impossible to say whether the bats are bought by rioters or residents who want to protect their homes. Bat prices vary from 15 to 30 pounds. Buying bats seems to be not the only latest popular trend among London residents. 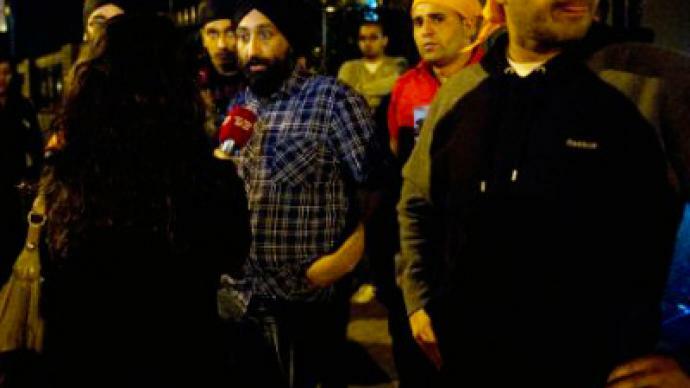 They have also united in order to clean the streets after the riots with the help of a twitter tag #riotcleanup. Another tag @OperationCupOfTea that appeared on Wednesday, called on locals to stay at home and have a cup of tea instead of taking part in the riots. “Tea strainers instead of training suits, teapots instead of riots, chamomile tea instead of criminal” reads their motto.